Once in a blue moon, we see those nights in which extra effort has really been pushed into making it an unforgettable experience, and this is definitely the case with ‘Drum & Space’. With only days until lift-off, we decided to tease you all with some insights into what is making this such a special night, including a chat with Engage Audio, and some exclusive pictures of the set design from Fables Creative. Of course, at the heart of it all is the music. Across the two fully immersive rooms the line-up is packed with drum and bass heavyweights and familiar faces, as well as some fresh up-and-coming talent within the scene. 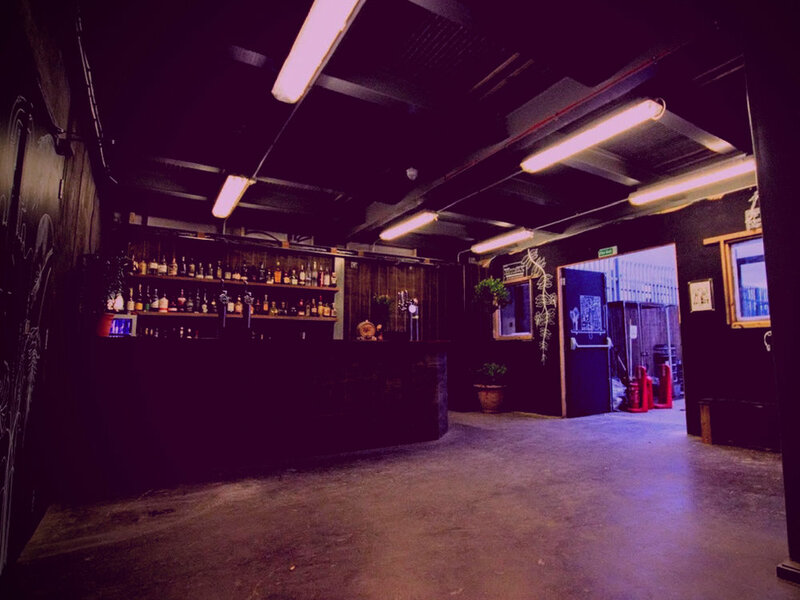 Main room ‘The Vessel’ we will see the likes of Ulterior Motive, Commix, Nymfo, Bredren b2b Philth, Tyrone, Data 3 as well as the respective Engage Audio/SINE DJs, Four Points and Apey. Meanwhile ‘Planet 51’ will be getting seriously deep with Hyroglifics, Arkaik, Klinical, Subtle Element, Incus b2b M:Pathy, HYNZE, and Leo. As if this wasn’t enough, there will be a plethora of quality hosts and MCs to help guide us on our voyage including Joe Raygun, Peas, Subliminal MC, Matt Freeman and Soup. Based in Tottenham, The Cause is one of London’s rising new venues with a feel and motive that harks back to original rave culture. 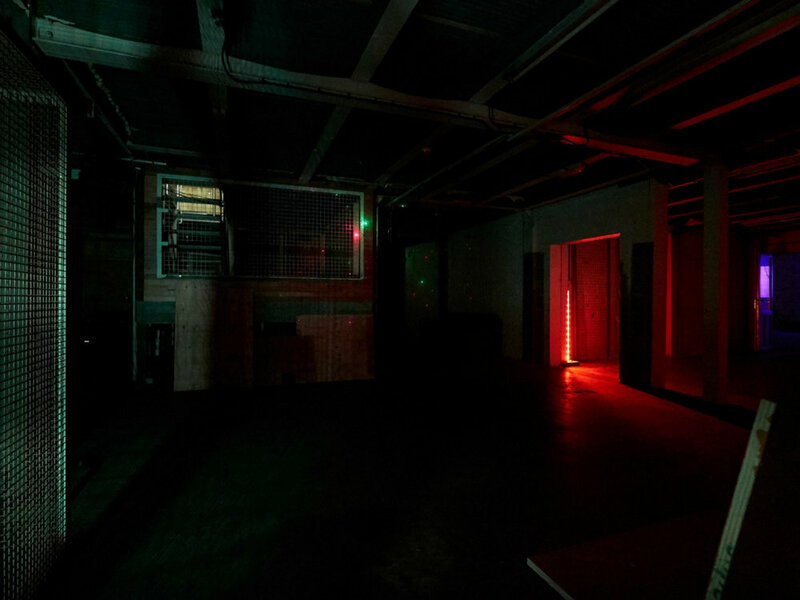 Essentially, it is a temporary venue and community project within what used to be a car depot, providing a space in which to celebrate London’s diverse and burgeoning electronic music scene, as well as supporting local businesses and start-ups. They are also working with various mental health charities, in an attempt to both raise awareness and money for organisations such as Mind, Help Musicians UK, and CALM. Despite it’s relatively intimate atmosphere, the location and industrial feel to the architecture make it the perfect venue for Drum & Space. One of the most striking features is a solid concrete, caged DJ booth in the middle of the main club area (‘The Vessel’ in Friday’s case), in which ravers can freely move around and feel a connection to the music. Of course, for this event we will see a serious transformation take place here, with Fables helping to turn this DJ booth into a rocket ship… not something you see every weekend. The site is an eco-system, constantly evolving and built upon trading skills, space and talent all giving birth to a truly unique grass roots space. Engage Audio are a relatively small yet rapidly growing label with an admirable level of passion towards the deeper side of drum and bass. The last two years has seen releases from artists such as Incus & M:Pathy, Subtle Element, as well as the collective behind the label Four Points, all of whom will be rolling out on Friday. It was a no-brainer for us to team up with a label that share our passion for quality, forward thinking drum and bass, and we can’t wait to show you what we have planned. First of all, could you tell us a little bit about how you guys met, and why you decided to start Engage Audio? We were all friends from hanging around St Albans whilst growing up. There was quite a large group of people our age that would hang around back then and get up to all sorts which then progressed to weekly raving across London and wherever the best nights were. Then it was Djing, and eventually into producing and starting Engage Audio. As for the reasons behind starting Engage, I guess we just came to a point where we wanted to try and get more involved in the scene after enjoying it for so many years, along with the ambitions of playing out to big stages and trying to create something that will remain in the scene if that makes sense! This night is shaping up to be huge, with a line-up full of drum and bass heavyweights and a fully unique set design from Fables. Have you had much experience with putting on events before, or is this a new venture for you? It’s not an entirely new venture, however this is the biggest to date for us. We've had involvement with smaller scale parties as Paradub in Birmingham which Alex looked after, as well as an Outlook launch party in St.Albans which was one to remember with DBridge; these are going right back to 2012/13 though! More recently we did the Engage Launch party with Synkronised in July last year and now we’re onto this and have much more planned for the future. What was the idea behind the space theme? We wanted to bring something slightly different into the dark and dirty drum and bass scene we all love. 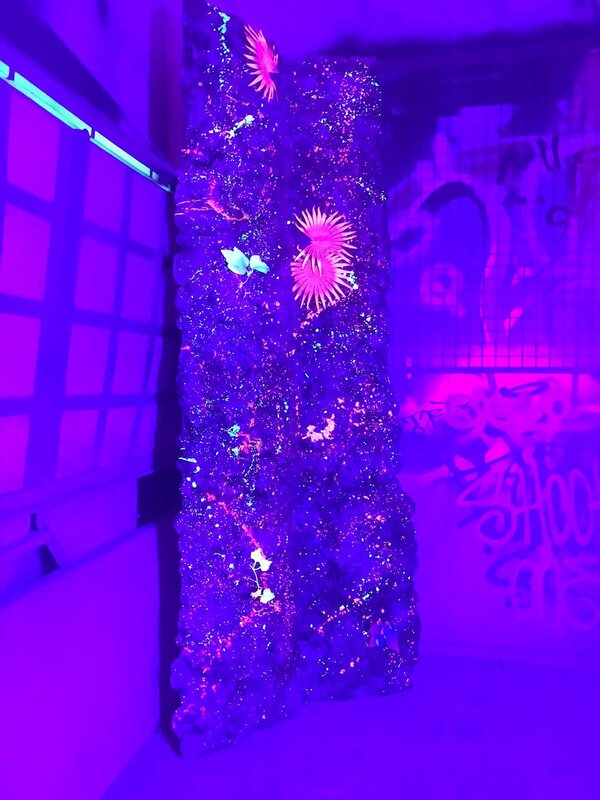 With the space theme we are able to link the darkness with some light and that being a more immersive experience that will hopefully make the night that little bit more enjoyable. We are all firm believers at Engage that the D&B scene is underrated in comparison to other genres; it almost seems to have this stigma that could put people off of trying a drum and bass night, and with putting on events like this we hope to change this and try and bridge that gap. You are of course also the team behind drum and bass act Four Points. What can we expect from your set at Drum & Space? We like to play fast paced sets getting through at least 40 tracks in an hour; when we are behind the decks we are both always doing something! As we are playing quite early, wer’e not sure we will follow this exact plan, however expect a nice deep rolling start to what we hope will be a special night. Oh, and some new bits from ourselves! Now, we have to ask. What’s in store for the future of Engage? More music, More parties with massive line ups and more custom set designs! This is one element of clubbing that we don’t see as much as we’d like. Whilst it has quickly become the norm at festivals such as Boomtown, Illusive or even Glastonbury, immersive stage and set designs are less common in clubs, especially in the drum and bass scene. Whilst the music itself is enough as it is (after all, this is the primary reason we go to these nights), having a custom-built, themed set can add an extra layer of immersion and enjoyment for all the ravers and artists alike. 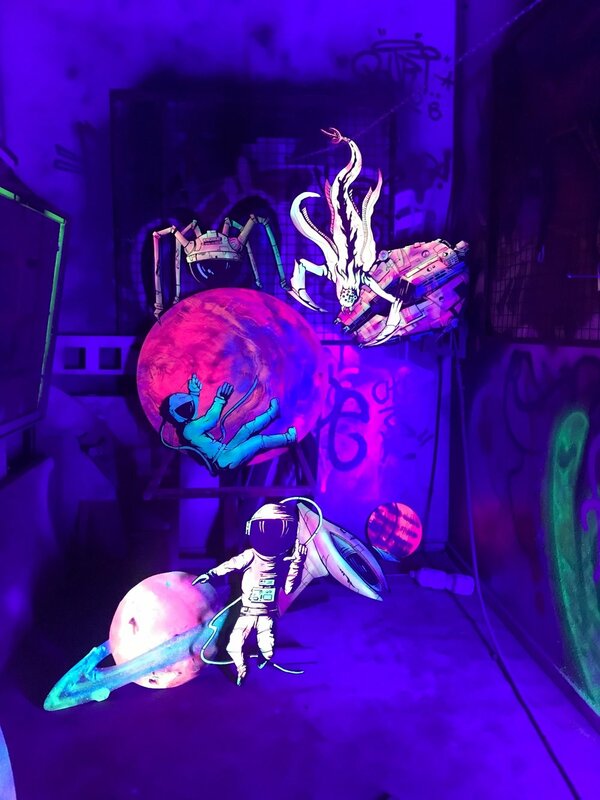 To help with Engage’s intergalactic vision, they’ve hired the help of ‘Fables Creative’, a company based in Birmingham that focus on creating unique, hand-crafted installations for nightclubs and festivals around the UK. They have created stages at festivals such as Houghton, El Dorado and Farr, as well as transforming the rooftop of East London’s Queen of Hoxton into a 1920s cabaret club. Never bounded by any preconceived theme or ideas, they have constantly let their creative minds flow free and created some of the most striking installations out there. The creative output of Fables combined with the already inspired setting of the Cause has formed a truly unique raving space, and we can’t wait for you all to see it in person. Whilst we don’t want to give too much away, we hope these photos will give you a small glimpse into what you can expect on the night.